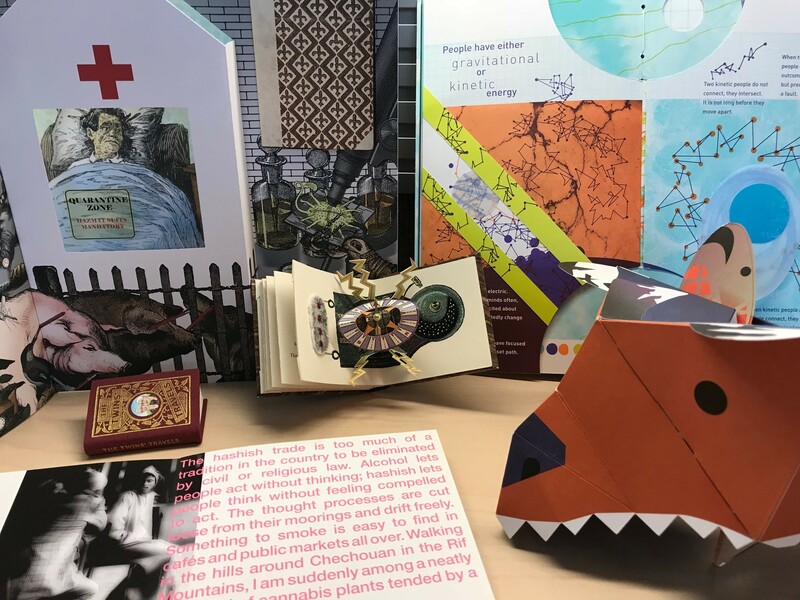 One of the few art forms that is meant to be touched, artists’ books allow the user to interact with the object at their own pace. Our collection ranges from the 1960s through to contemporary works, and offers a variety of titles that can be illustrative, photographic, textual, sculptural, or a mix of elements that will challenge your views about what the concept of the book means. Please include areas of interest such as titles, themes, or formats you would like to see. 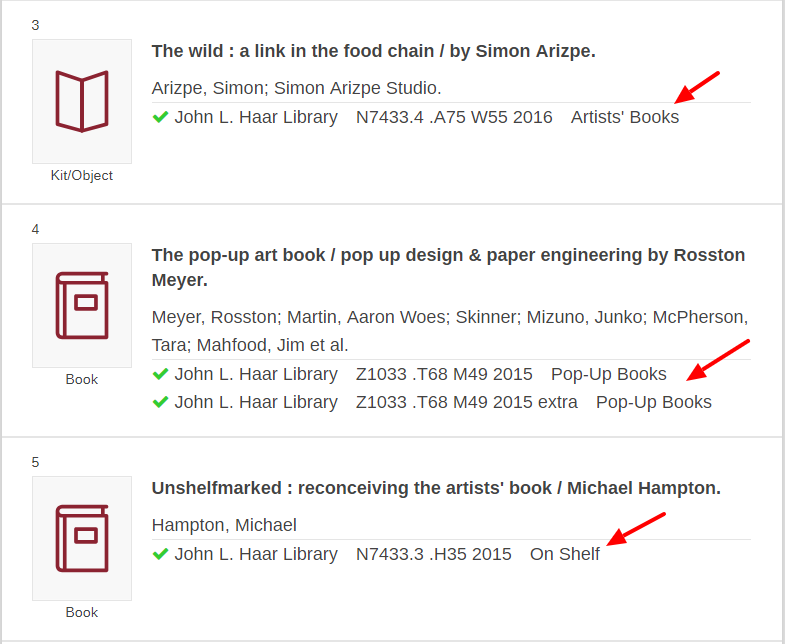 To find titles in our collection, try using the Library catalogue by typing the phrase: “artists books” and selecting SUBJECT from the dropdown options. Click Search. When you get your results list, look at the Limit To menu on the left side, and click on John L. Haar Library. You’ll get a list of artists’ books and some other fun stuff, such as pop-up books, zines, and books about artists’ books. The location information will tell you where you can find each title. Stop by the Reference Desk if you need help! Find articles, books, and more. This work is subject to a Creative Commons Attribution NonCommercial 4.0 International license. For exceptions, see the Library Copyright Statement.